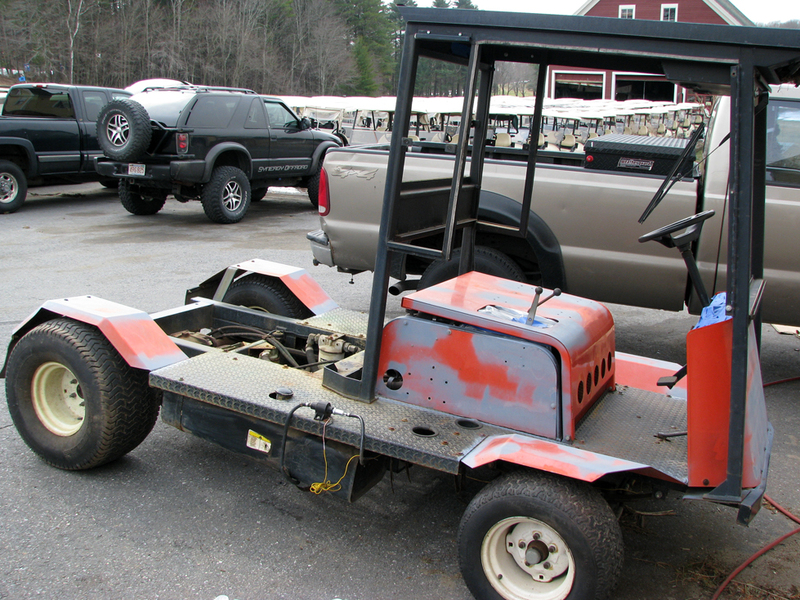 Last year we purchased a Toro 5400 fairway sprayer, considered by most to be the Cadillac of sprayers. This replaced our very outdated Smithco Spraystar 3000. 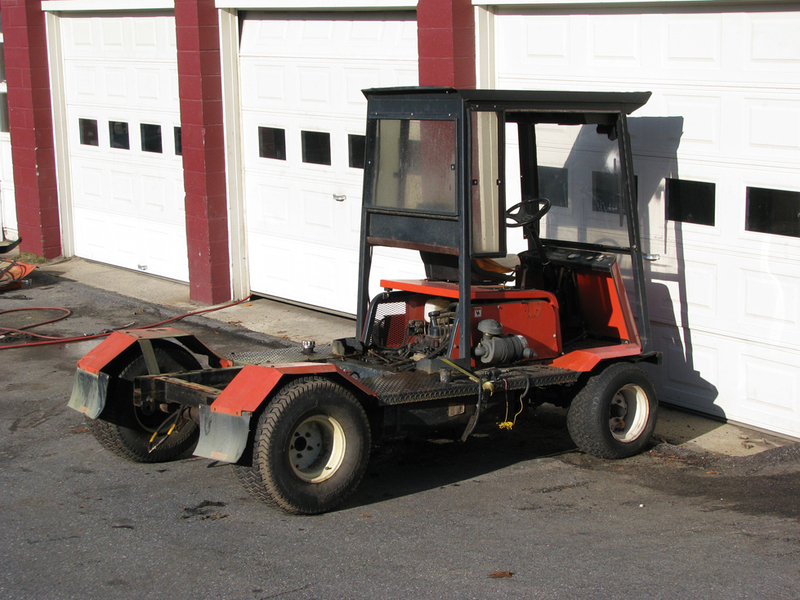 The vehicle itself was in decent enough shape, with just over 1000 hours on it. The sprayer part of the machine was in dire shape, however. 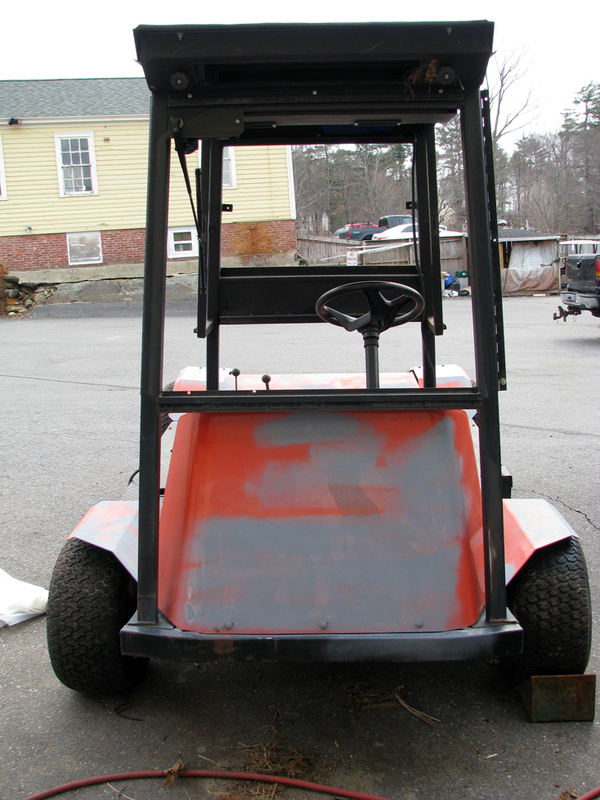 With bent booms, sporadic lift actuators, a temperamental foaming system, and outdated calibration technology, it was time to upgrade to a more efficient sprayer. The Spraystar 3000 sat unused last season. 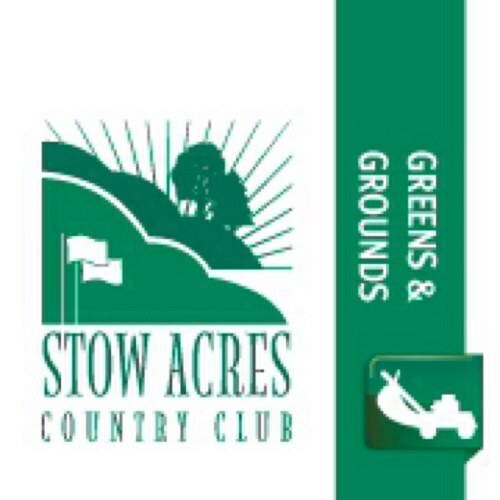 We manage a large property here at Stow Acres. With such a historic country club, we spend a fair amount of time renovating and renewing features of the course to their intended beauty. 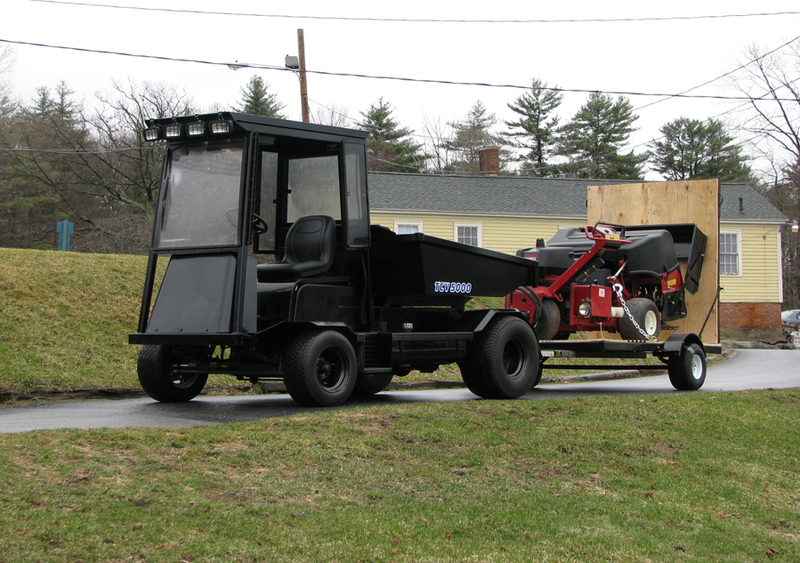 Moving material across the course for this task has proven to be labor intensive and troublesome on the equipment. 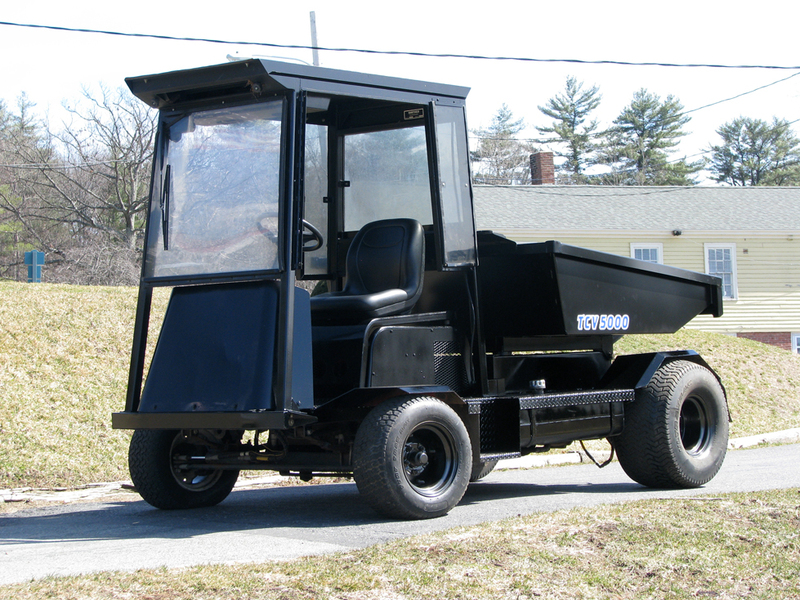 The 90+ years of golf played on some parts of this property has developed a character of undulating turf, which is sometimes tough on the lighter utility vehicles we have, which are constructed with aluminum frames and relatively small cargo beds. 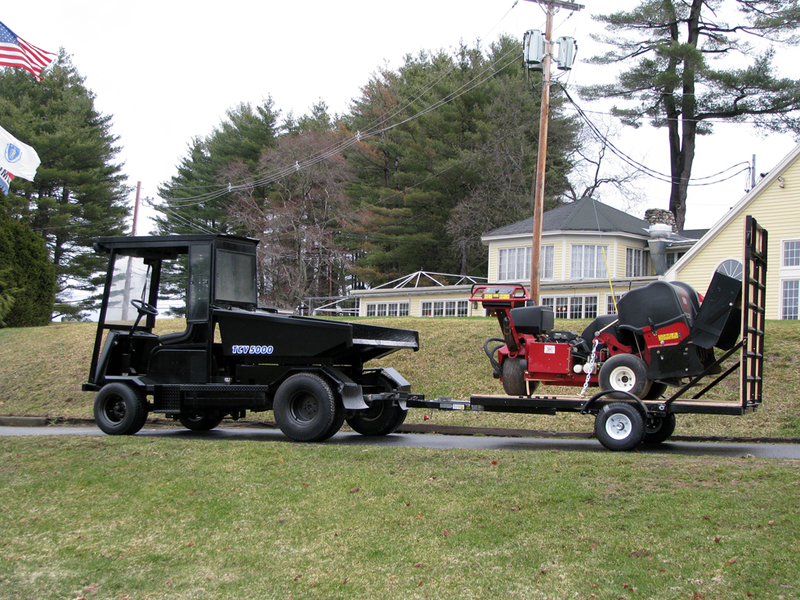 The need to move large amounts of dense material such as sand, soil, stone, and cart path material could be filled by the same machine that was built to carry 3000 lbs of water. 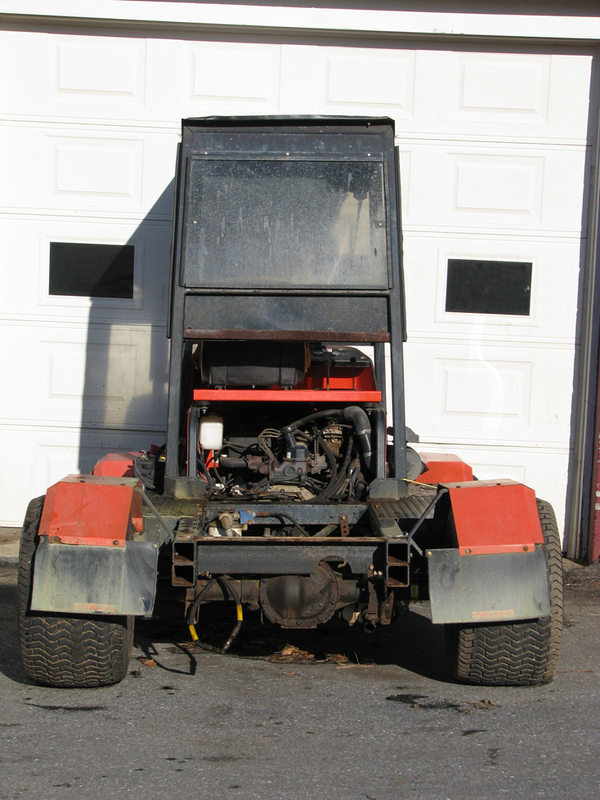 We began by stripping the Spraystar of it’s sprayer components. The booms, tank, pump, electronics, computer, foamer, and lines were all removed. From there, we began to prep for paint. The acrylic windows were removed, all loose rust was sanded smooth, body filler was applied to any dented or mis-shapen area, and primer applied over those spots. 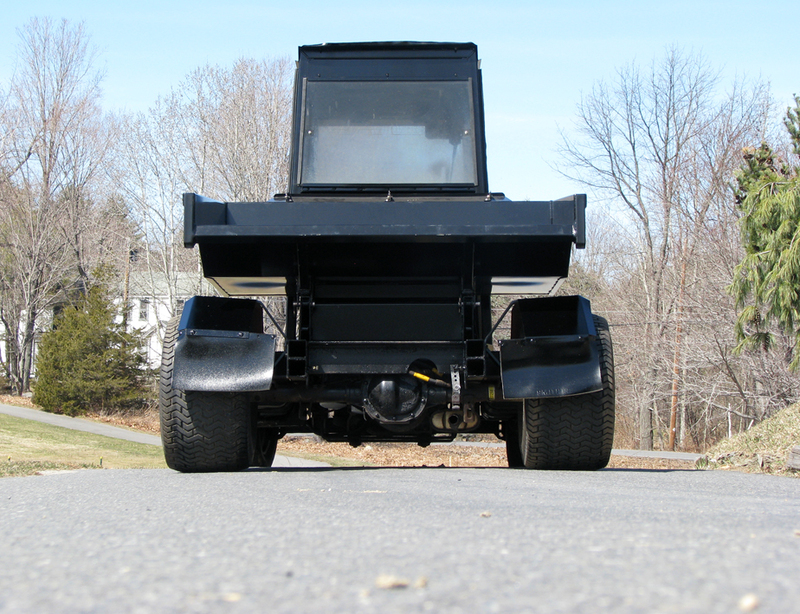 The vehicle was then painted GM Onyx Black with a one step urethane paint. The frame and gondola dump box arrived and were placed on the chassis. 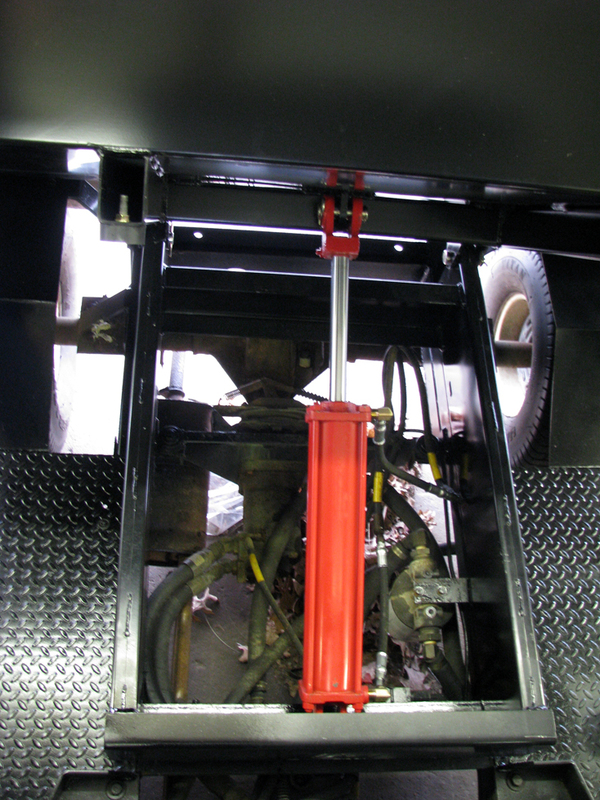 The lift cylinder was installed and plumbed to the lift valve. 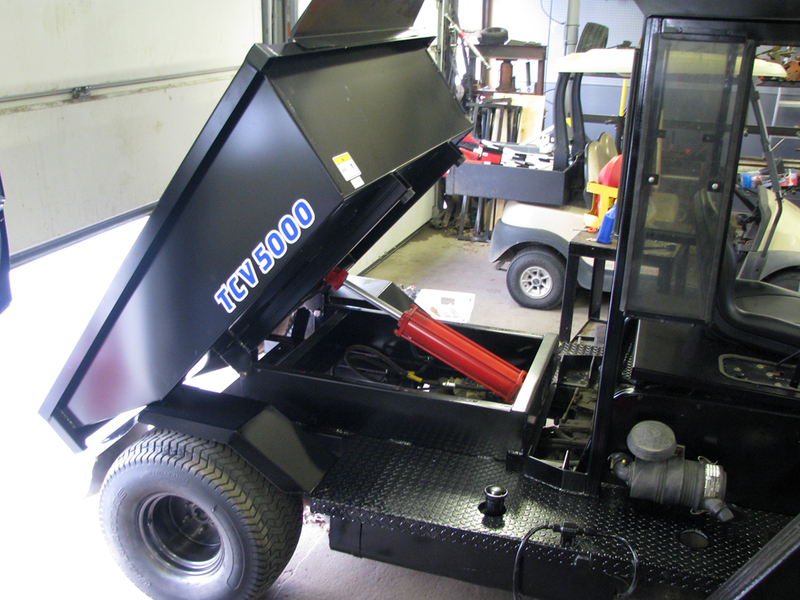 Lights were added to the roof, and a hitch constructed for trailering our Toro Procore 648 aerator. Categories: In the Shop | Permalink. 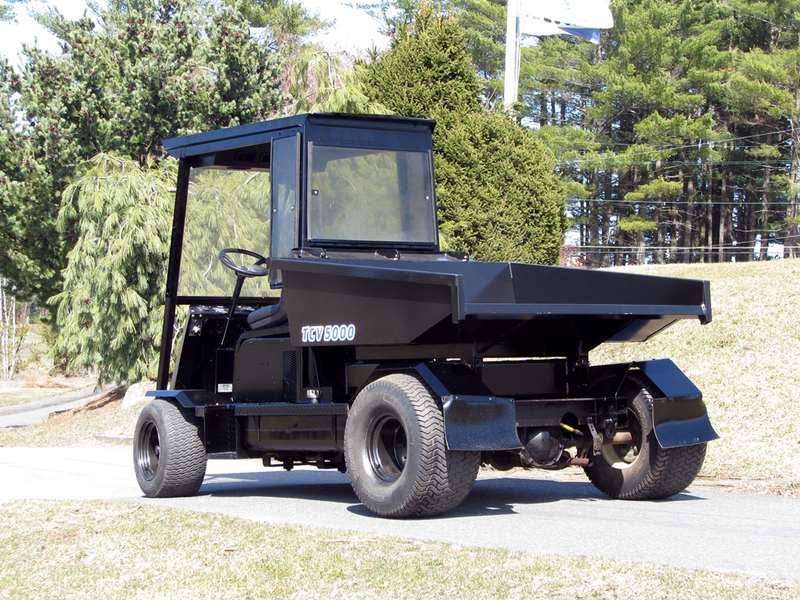 Guys, great job on the material handler. Did you get the cup holder installed? I’m going to check it out this afternoon! Thanks! Yes sir, cup holder is installed! It’ll be down by the shop all day, feel free. Haha, we actually just added some custom decals to it… pictures are coming. What a great idea!! Now the leagues can really haul their “refreshments” around. Further enhancing their diviting and hacking skills.